A charity has launched a fundraising campaign for nurses in hardship as it reveals almost 3,000 nurses sought its financial and emotional support and advice in 2018 – more than double the number in 2015. A total of 2,979 nurses have turned to the charity for help since 1 January this year, up from 1,400 in 2015. A report into nursing hardship published by the charity this year showed that a third of nurses struggled to heat their home. The trust, which supports working and retired UK nurses, midwives and healthcare assistants who face personal or financial hardship, often because of illness, disability, older age or domestic abuse, has now launched a Christmas appeal to help nurses in crisis. Chief executive John Orchard said: ‘Winter brings much greater pressures for nurses and we’re seeing the number of people seeking help from Cavell Nurses’ Trust rising year on year. 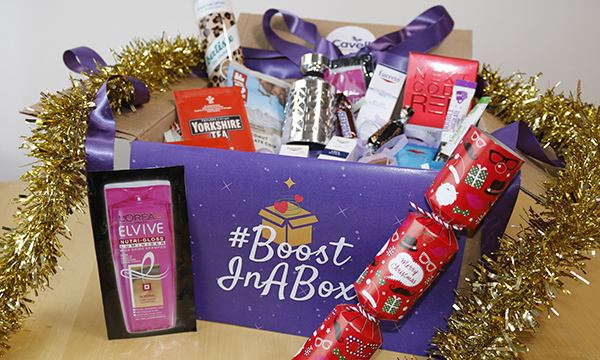 The #BoostInaBox appeal has already seen gifts donated from retailers such as Next, Clif Bar, Yorkshire Tea, Bulldog Skincare and Beanies Flavoured Coffee Company. For every £50 donated, a parcel of gifts will be posted to some of the thousands of nursing professionals working at Christmas in hospitals across the country as a token of appreciation. Cavell Nurses’ Trust estimates around 137,000 nurses, midwives and healthcare assistants will be working on Christmas Day, and 155,000 will be working on Boxing Day.